Honestly, it takes a little more than saying these three words to have a colony of cigar beetles appear, invading your precious cigar collection but not too much more. Cigar beetle infestations are a very real problem for cigar collectors. Unfortunately one that has happened many times to our close group of cigar buddies. Fortunately for you, Better Cigar has all the right tips for the best way to identify and prevent cigar beetles from invading your collection. 1 What Do Cigar Beetles Look Like? 2 What Are Cigar Beetles and Where Do They Come From? 3 How Do You Prevent Cigar Beetles? What Do Cigar Beetles Look Like? 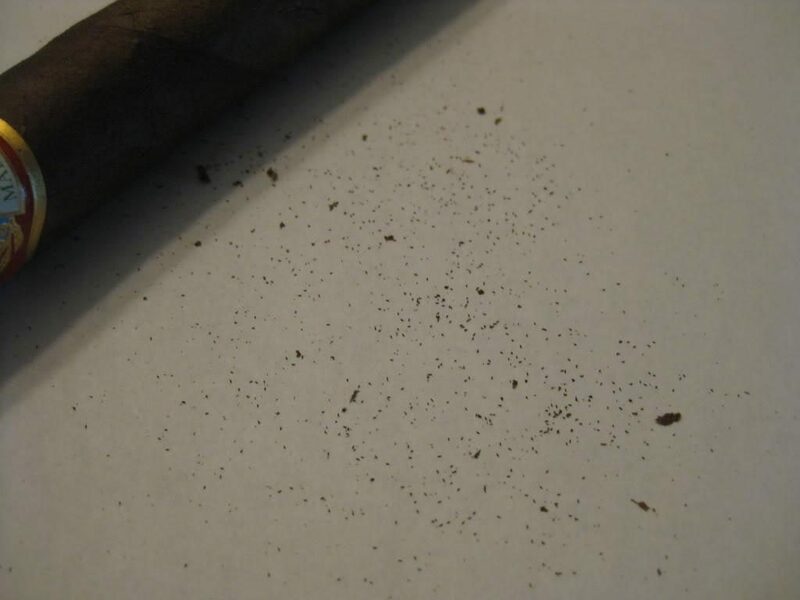 Black dust – Not to be confused with remnants of tobacco or “tobacco dust”, these are small black particles that are found at the bottom of your humidor. If your cigars aren’t moved around often, then simply tap the end of your cigar on the edge of your humidor. If you see a good amount of “black dust” come out, you may have a cigar beetle problem. Want to know the worst part? This is actually their feces. We’ll talk more about that later but that’s not something that you want to smoke. 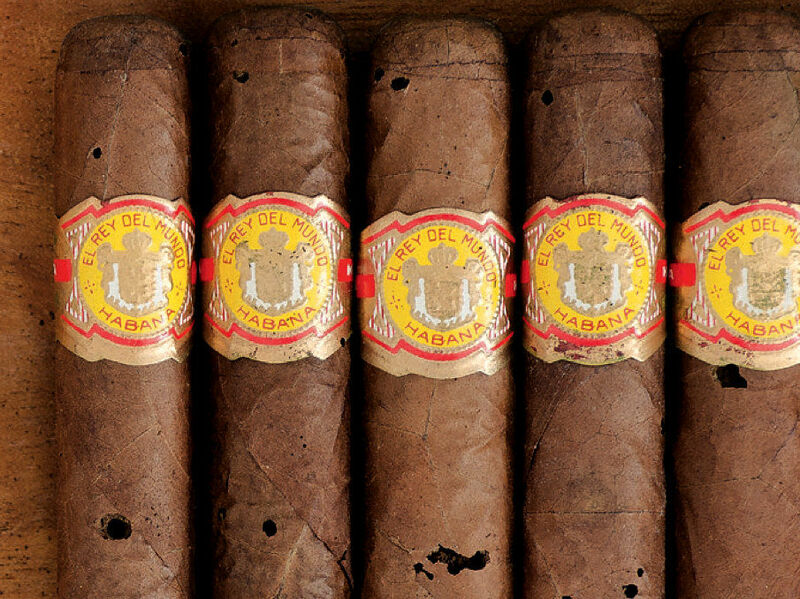 Pinholes – You may know if you have cigar beetles if you notice small holes in your wrapper. Sometimes it’s a bit easy to be in denial of this symptom. Cigar wrappers are notoriously delicate and in some cases they are traveling thousands of miles before they reach your cigar collection. However, cigar beetles love to make perfectly round holes in your cigars. I like to call them “pinholes” because if you were to push a pin or needle in your cigar, this is exactly what it would look like. This is a more severe example above, sometimes it can just be one or two holes. If you have one or both symptoms, it’s generally a good idea to throw the cigar away. There isn’t much scientific data on what would happen if you smoked them but once you learn more about what these guys look like, you may not want to be smoking them, much less their feces. What Are Cigar Beetles and Where Do They Come From? Cigar beetles are actually tiny beetles that you can’t see with the naked eye. The female beetles sneak into tobacco at some point during the production process and lay their eggs within the tobacco. Once the eggs hatch, the larvae eat their way out of the tobacco. Obviously these larvae also poop as they eat and that’s where the black dust come from. Once the eggs reach the surface of your cigar, they burrow all the way out of the wrapper creating those perfectly round pinholes. This is dangerous because cigar beetles then can jump to other cigars in your collection and repeat this whole cycle. How Do You Prevent Cigar Beetles? Sometimes preventing cigar beetles is easier said than done. It’s good to be aware of cigar beetles but if you are too paranoid about them then it can certainly drive you crazy. Maintain the proper humidity and temperature inside your humidor. You can’t guarantee that if you keep your humidor at a certain temperature and humidity that you won’t have a cigar beetle problem but it certainly doesn’t hurt. By keeping your humidor between 65 – 70 degrees and below 70% humidity, you should be in good shape. Freeze your cigars temporarily. This may be surprising to hear but freezing your cigars is the only surefire way to make sure that you kill beetles dead in their tracks. By freezing your cigar, you kill the beetle eggs that may be in your tobacco and not yet hatched. This will prevent them from hatching, eating and ruining your expensive cigars. Check out our newest guide on hygrometers if you are in the need for a better humidity and temperature monitor to help prevent cigar beetles. You’ll likely read a lot of conflicting reports online about whether or not freezing your cigars is safe for them. There isn’t a ton of conclusive research but many experts say this is the only way to be 100% sure that your cigars don’t have a cigar beetle problem. I have personally frozen my cigars following the method below and have not had any issues. It’s best to try to let your cigars recover for at least 1-2 weeks after performing the following. If you would like to smoke them beforehand, it shouldn’t be too detrimental but I personally found my cigars tasted much better after 2 weeks. Keep in mind, you will want to follow these steps every time you get a new batch of cigars. 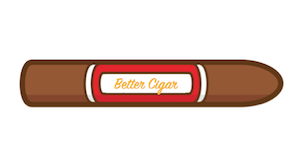 New cigars brought into your previously quarantined collection can introduce beetles back into your stash. Place your cigars into a double-bagged Ziploc bag. I like to double bag them just to make sure no moisture gets into the bag. It’s also best if you go with a quality Ziploc bag. Sometimes the cheap stuff doesn’t have a great seal to stop frost. I’ve found a freezer bag like this works best. Remove all air from the Ziploc bags. Just to ensure optimal conditions, I like to open up each bag and squeeze to remove all air from each. Place cigars in the fridge for 24 hours. Yes, I said fridge, not freezer. You don’t want to shock your cigars by introducing them to a temperature that is +50 degrees cooler immediately. Ease them into the cold temperature. 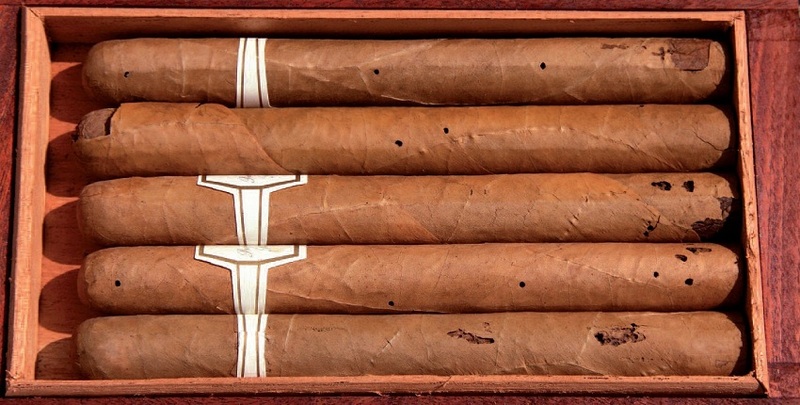 Place cigars in freezer for 48 hours. This is where the beetles meet their maker. Freezers can vary in temperature but in most cases, 48 hours is plenty of time to extinguish these pests. Place cigars in fridge for 24 hours. The same way that you eased your cigars into the cooler temperature, you are now going to ease them out of it. This should help them have a speedy recovery. Return cigars back to your cigar storage. You should be all set to return your cigars back to your humidor now with the beetles resting in peace. If you know for a fact that you had a cigar beetle infestation, it may be a good idea to vacuum or clean out your humidor to remove all feces and larvae. I wouldn’t recommend using any chemicals for this, as it can damage your humidor. Unfortunately, like we mentioned, it’s probably a good idea to toss the cigars that are infested by cigar beetles. If you have more than a few that are infested, you can try cutting them open to assess the damage. I personally like to chew on the cigars that aren’t too bad but that’s just me. This is a great video posted by the Montreal Cigar Club below of a cigar they diagnosed with having beetles and what it looked like inside that cigar.